This is a historical document which defends the authenticity of the controversial Book of Abraham, part of the canonical Pearl of Great Price. The Book of Abraham was purportedly translated from an Egyptian manuscript purchased by the Mormons from a travelling show in 1835, long before their trek to Utah. Joseph Smith quickly produced a translation of this document, claiming it was written by Abraham in his own hand. The manuscript disappeared for many years until it resurfaced in 1967 in the Metropolitan Museum of Art in New York. At that time Egyptian experts verified that it was actually a papyrus of a portion of the Book of the Dead. However, the Book of Abraham is still considered part of the Pearl of Great Price and is held to be authentic by devout Mormons. 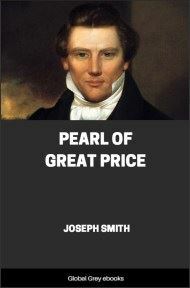 THE late republication of the pearl of great price has drawn renewed attention to the Book of Abraham, which forms a portion of its contents. 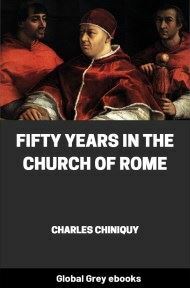 And as but very little has ever been said by the Elders of the Church in advocacy of its claims as an inspired record, written by one prophet of God in the infancy of the earth's history, and translated by another prophet of the Most High in the dispensation of the fulness of times, we think that a few chapters written to prove its genuineness and divine origin, will not be without value to the Latter-day Saints, and to the world at large. For while the people of God have said or written little in its defense, there have been those opposed to the revelations of God in these days, who have vigorously attacked it, who have styled its language "gibberish," and classed it among the "pious frauds" that have so often disgraced the history of religion, Christian and heathen. 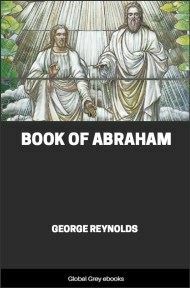 We hold, and we have confidence that we can prove, by history, science, and in various other ways, that the Book of Abraham is exactly what it claims to be, and that it was translated by the wisdom and power of God for the benefit of the human family, by the Prophet Joseph Smith. Before entering into the discussion of its contents, we deem it advisable to say a few words with regard to the manner in which it fell into the possession of our martyred Prophet. The account he gives in his history of this incident, is to be found under date of December 30, 1835, (Vol. XV. Millennial Star,) from which we condense: He states that the records from which the Book of Abraham was translated were found in one of the catacombs, near the city of Thebes, in Egypt, in the year 1831, by a French traveler named Antonio Sebolo, who had received permission from Mehemet Ali, the then ruler of Egypt, to open it. After vast labor, an entrance was effected on the 7th of July, 1831, and several hundred mummies discovered therein, in various stages of decomposition. M. Sebolo obtained eleven of the best preserved mummies and started with them for Paris, the capital of France. On the way he was taken sick, and after an illness of ten days, died at Trieste. In his will he left these valued remains of ancient Egyptian art to his nephew, Mr. M. H. Chandler, and after various vicissitudes they came into this latter gentleman's possession in April, 1833. 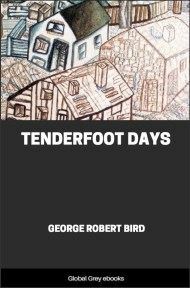 He proceeded to make a living by their exhibition, and traveled about the country for that purpose, reaching Kirtland July 3d, 1835. In the meantime he had opened the coffins and found "that in connection with two of the bodies was something rolled up with the same kind of linen, saturated with the same bitumen, which, when examined, proved to be two rolls of papyrus." "Two or three other small pieces of papyrus, with astronomical calculations, epitaphs, etc., were found with others of the mummies." In Joseph's history is the following account of Mr. C's visit to Kirtland.
' KIRKLAND, July 6, 1835. 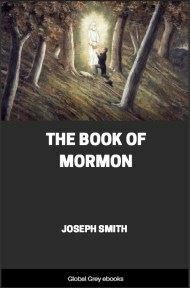 'This is to make known to all who may be desirous, concerning the knowledge of Mr. Joseph Smith, jun., in deciphering the ancient Egyptian hieroglyphic characters in my possession, which I have, in many eminent cities, showed to the most learned; and, from the information that I could ever learn, or meet with, I find that of Mr. Joseph Smith, jun., to correspond in the most minute matters.
' Traveling with, and proprietor of Egyptian mummies.' "
The Prophet, a few days later, writes: "Soon after this some of the Saints in Kirtland purchased the mummies and the papyrus, and I, with W. W. Phelps and O. Cowdery as scribes, commenced the translation of some of the characters or hieroglyphics, and much to our joy found that one of the rolls contained the writings of Abraham, another the writings of Joseph of Egypt, etc., a more full account of which will appear in their place as I proceed to examine and unfold them. Truly we can say the Lord is beginning to reveal the abundance of peace and truth." From this time it appears from the history that Joseph set himself diligently to work to translate the records, as often as his other important duties permitted. Under date of October 1st, he records in his journal: "This afternoon I labored on the Egyptian alphabet, in company with Brothers O. Cowdery and W. W. Phelps, and during the research, the principles of astronomy as understood by Father Abraham and the ancients, unfolded to our understandings." It is desirable that these dates and facts should be remembered, as they have an important bearing on our future inquiries. Under date of October 7th, November 24th, and in other places, he refers to his labors in translating the papyrus. He also makes frequent reference to showing his friends these records, and of explaining to them their contents, not only to those in the Church, but to numbers who were not members. We will simply cite one instance. "December 16th, 1835. Elders McLellin, B. Young, and J. Carter called and paid me a visit, with which I was much gratified. I exhibited and explained the Egyptian records to them, and explained many things concerning the dealings of God with the ancients, and the formation of the planetary system." The next thing we deem in order is to give the Prophet's description of the appearance of the papyrus, which description, we may remark in passing, is identical with that of President John Taylor, who frequently saw them when in Brother Joseph's possession.